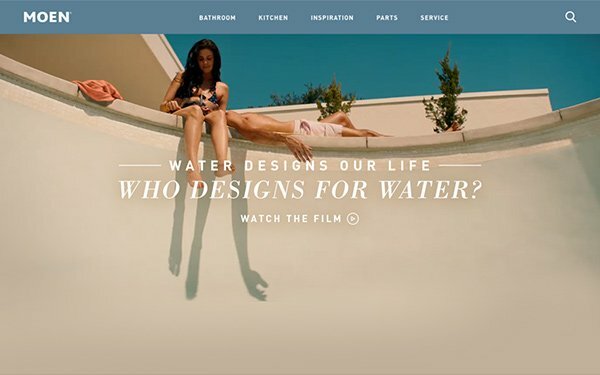 Moen is evolving its advertising strategy with its latest campaign that asks, "Who Designs for Water?" Developed with agency Havas Chicago, the creative shows various water sources, like the San Francisco Bay or an outdoor pool, all without water to ask viewers to ponder how they should think about water. The aim, says an agency spokesperson, is to encourage Moen owners to think about water resources and their own water behaviors, with the average American using about 100 gallons of water each day. In addition to an online 60-second brand spot, the campaign includes 30- and 15-second online and broadcast ads that are more product-focused, supporting the brand's MotionSense and smart-technology U shower. Moen is also introducing a Snapchat filter that geofences various water landmarks throughout the U.S. that are prime examples of how water "designs our world." Locations include: Horseshoe Bend, Grand Canyon Desert View, Ole Faithful, Niagara Falls Canada Lookout Point, among others. Later, the campaign will roll out what it calls a Water Census to further document water usage.